The illicit funds, held in the United States and Canada, by corrupt Chinese PEPs and business executives, may soon be identified for China, which is interested in recovering this dirty money. A state-run newspaper ion China has asserted that negotiations for information sharing are in process, with both the United States and Canada. There has been no official confirmation from the US, but such maters are typically not publicly commented upon until finalized, to prevent the movement of massive "capital flight" of the illicit wealth. The use of North American financial institutions by corrupt Chinese PEPs has been well-established. The PEPs also are known to invest their bribe & kickback money into real estate and businesses in North America; China wants that money repatriated. Will the US & Canada cooperate ? Whether the law will be changed to facilitate extradition of these PEPs to China is doubtful, however, given that China's legal system does not follow the rule of law, and generally convicts criminal defendants, based upon the orders of the Chinese Communist Party leadership, rather than the evidence. On the first day of January, 2015, which is Thursday, Lithuania will become the newest member of the Eurozone. You are reminded that, in the past, when an EU member has been granted Eurozone entry, the physical process of conversion of local currency into the Euro has been accompanied by little, if any, inquires into exactly how the holders acquired the money which is sought to be converted. As a consequence, when a nation is in the Eurozone process, criminal proceeds from other jurisdictions is often moved into the economy of future Eurozone member, to capitalize upon the lack of supervision, when the currency conversion occurs at a future date. This occurs due to the large volume of currency that must be immediately converted, as well as political pressure to avoid interrogating the local population about the Source of funds on their cash. Therefore, after January 1st, look carefully at any large funds transfer from Lithuania, into your bank, for it may be now-laundered criminal funds that have been through the above-mentioned wash-dry-fold cycle, taking advantage of the country's entry into the Eurozone. Reports from China state that Google e-mail has been blocked by the country's censors. Known unofficially as the Great Firewall, governmental censorship is said to have blocked access to Gmail, through Virtual Private Networks (VPN), which are workarounds for many Chinese users seeking to evade restrictions on the Internet. 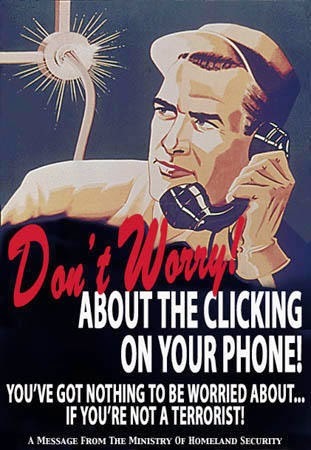 I know that many compliance officers, including this writer, routinely use Google e-mail when dealing with resources overseas that are supplying information for due diligence investigations, due to the level of encryption Google uses, and the ease with which images and attachments are used. Be advised that the reason for the inability of Chinese sources to communicate with them in this manner is the new blocking of access. You will need to reestablish communication links through an alternate route. 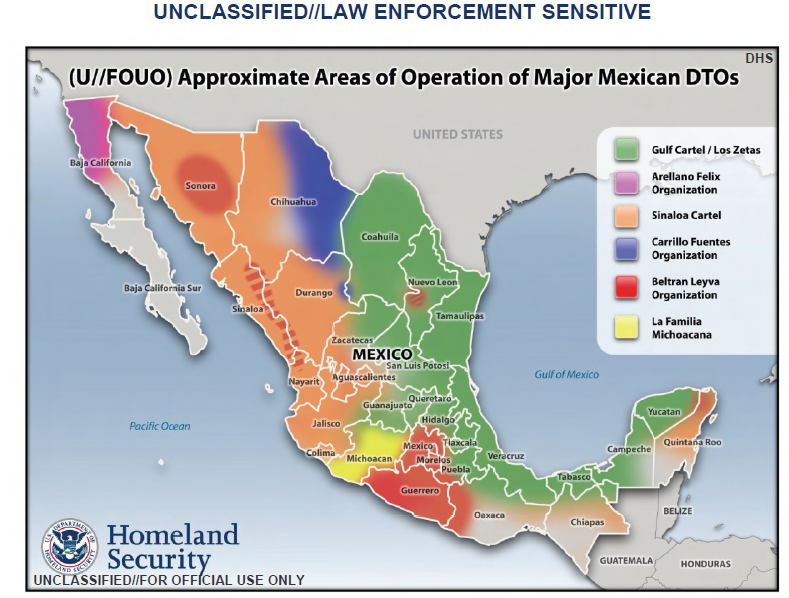 The Office of Foreign Assets Control (OFAC) designated the mother-in-law of a Sinaloa Cartel leader recently; she is 85 years old. Sanctioned individuals often transfer ownership of their assets to extended family members, with special attention paid to those with different last names. Grown female children, whose names have been changed by marriage, are also typically used. Remember, when banking any individual whose occupation and background do not match the level of assets he or she wishes to place on deposit, always consider that the person is fronting for a sanctioned party, who may be a distant relative, business associate, or partner of a relative. Always initiate enhanced due diligence, and require Source of funds proof, when you encounter a new client whose assets and wealth appear to be inconsistent with their personal and occupational history. Financial professionals familiar with the current status of the Venezuelan economy have asserted that the country's hard currency reserves are insufficient to redeem short-term debt, which will be maturing in 2015 and 2016, and fear that a default will occur. Already, the market value of Venezuelan sovereign debt instruments, due to mature in 2027, have markedly declined, and the unofficial rate for the Bolivar has reached as high as 180 to one US Dollar. If I was a corrupt Venezuelan PEP, either within, or close to, the current government, I would now be seriously considering moving the balance of my illicit wealth to a safe place. Known PEPs would be immediately suspect at a US or EU financial institution, and it is reasonable to expect that they will choose a close family member, or business associate, to quietly place the dirty money, in advance of the expected Venezuelan economic collapse. Such individuals will not appear on any commercial database of high-risk persons, and must be otherwise identified through the skill-set of the compliance department. Therefore, Compliance officers should advise their staff to conduct enhanced due diligence investigations on any, and all, Venezuelan nationals, who seek to open an account relationship, and state that they wish to deposit large sums. 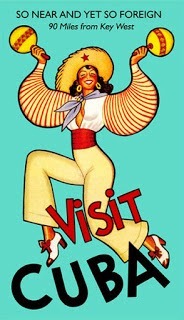 Since many Venezuelans have successfully obtained economic passports, or made other arrangements to obtain travel documents from other countries, you would be well advised to have a member of your Spanish-speaking staff who is familiar with Venezuelan slang and accents, to at least be present during account opening, lest you be deceived by the personal identification presented to you which ostensibly identifies your new client. The birthplace may also give you a hint about nationality. That's why St Kitts, under pressure, is recalling their economic passports which intentionally omitted that critical detail. Please be alert, lest you unwittingly accept Venezuelan "flight capital" of dubious provenance, and later suffer the consequences. After his conviction, Viktor Bout's former associate and reputed money launderer, Richard Chichakli, filed a Pro Se civil suit in US District Court in Washington. Neither the civil case, nor the appeal, filed after the case was dismissed, have been covered by mainstream media, possibly because the Court found that it had no legal merit. (1) A violation of the plaintiff's constitutional rights, due to the imposition of an excessive fine. (2) Cruel and Unusual Punishment, and eighth Amendment violation. (3) Violation of the constitutional provisions against illegal Search and Seizure. (40 other Fourth and First Amendment violations. Didn't those jailhouse lawyers assisting Chichakli consider that they were wasting the Court's time, with an action that was barred ? Chichakli had already lost this case earlier. Debra Villegas, described as master Ponzi schemer Scott Rothstein's "right-hand woman," was released from Federal Prison on December 18, according to Bureau of Prison records.We have previously covered the details of her case, and sentence reduction. This will surely make a number of Rothstein's victims unhappy, but it appears that her reduced sentence was primarily due to her unavailability to assist the US Attorney's office in an upcoming trial of a TD Bank officer linked to the scheme, unless she was not longer in custody. IS AMERICAN BANKING TERMINATION OF CORRESPONDENT RELATIONSHIPS WITH MIDDLE EASTERN BANKS A REACTION TO THE VERDICT AGAINST ARAB BANK ? Reports emanating from regional Arab bankers' conferences in Beirut indicate that a number of American financial institutions are exiting their correspondent relationships with "some small and medium-sized Middle Eastern banks. "The question arises: are these actions a risk-based reaction to the verdict, on liability, entered this year against Arab Bank, in the New York District Court terrorist financing case ? The official line. according to published reports, is that the US banks are closing those correspondent relationships, due to the threat of increased compliance costs. FATCA compliance expenses, however, will fall mainly upon the overseas banks, not the onshore financial institutions. Is this some sort of spin on the facts, to avoid the truth ? We must then consider whether the Arab Bank case, and the impact that it now may now have upon risk managers, who are painfully aware that a final judgment on damages, which could exceed hundreds of millions of dollars, might threaten the reputation, or bring regulatory heat down upon, US banks who are closely linked to some of the other Middle Eastern banks with future civil judgments for terrorist financing. Compliance officers may now be seeking to extricate their banks, early on, from any future problems, arising in the aftermath of the Arab Bank case, by severing any correspondent connections with banks in the region. Have American bankers begin to change the way they do business with banks in the Middle East, solely because of the groundbreaking effect of the Arab Bank case ? We cannot say, but we will be watching how US banks respond to the upcoming damages trial, and the absolutely damning effect of the testimony about the terrorist acts committed by Hamas upon the Bank's reputation. Some banks may choose to exist the region at large, to minimize risk of suffering the filing of terrorist financing or facilitation charges against them, and their offending correspondents. The State of New York Department of Financial Services has imposed a civil penalty of $130m, upon Bank Leumi, for assisting high net-worth Americans in hiding wealth from their tax authorities. Apparently, when US law enforcement activity against UBS and other Swiss banks that were facilitating American tax evasion caused a decline in Swiss participation, Bank Leumi, using its wholly-owned affiliates in the USA, Switzerland and Luxembourg, actively solicited US clients who were exiting Switzerland, and approached other potential clients with tax evasion schemes. (1) Sending its officers covertly into the US, posing as tourists, when they were there to meet tax evading clients, brief clients on their holdings, and solicit new ones. (2) Holding all correspondence for their clients at the bank, and giving those clients numbered accounts, or accounts held under aliases. (3) Sending US clients to tax haven lawyers and financial consultants, in Panama, the BVI and Belize, for the purpose of corporate formation of shell companies, to further conceal beneficial ownership. (4) Giving the clients access to their hidden wealth, by granting them bogus loans, through third parties, to further conceal the fact that the clients were simply receiving their own funds. (5) Suggesting to US clients that they avail themselves of the Bank Leumi tTust, to add an additional layer of "protection," to their secrecy scheme. Readers who wish to review the complete text of the Consent Order can access it here*. If you have been reading this week about the ongoing American criminal investigation, into a well-known offshore financial provider that is allegedly assisting US citizens hide many millions from the taxman, there's a more disturbing aspect to the case, and one which has not been publicly disclosed. 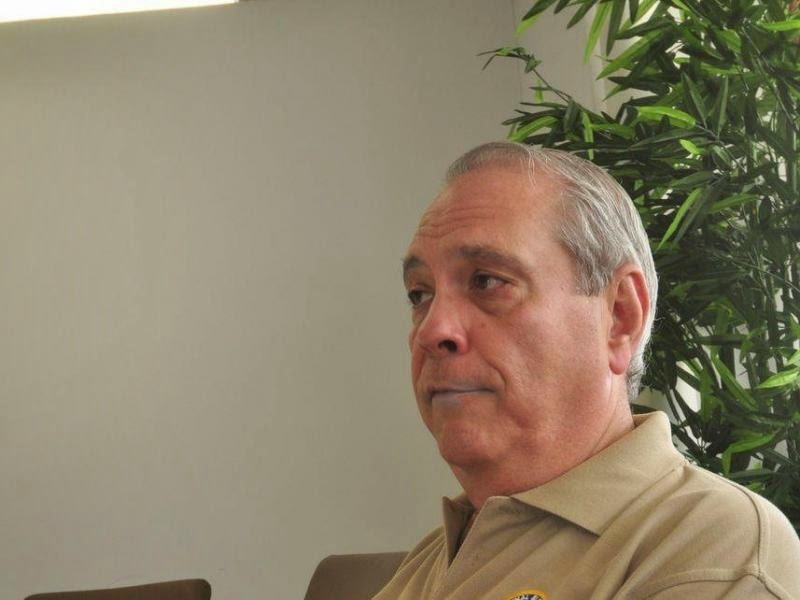 Panama's Superintendent of Banking, Alberto Diamond R., who leaves office at the end of December, has been keeping a dark secret. Apparently, three months ago, American authorities made a number of information requests to Panama, all involving US taxpayers who were involved in hiding financial assets in Panama. The requests involved a number of banks located in Panama, and major law firms that are allegedly assisting them. Diamond, whose career as superintendent has been marred by charges of corruption, malfeasance in office, misfeasance, trading on inside information, bribe-taking, failure to investigate any money laundering offenses being committed by the banks, and other offenses to numerous to mention, must have thought that he could conceal the US inquiry until he was safely out of office, when he might shift the blame to his successor. The disclosure demands that he be summarily removed from office forthwith, that he be prohibited from leaving the Republic of Panama, and that a criminal investigation be initiated. Convicted Ponzi schemer Allen Stanford, appealing what is in essence a life sentence for his crimes, must be making a number of enemies over at the Fifth Circuit Court of Appeals with his filings, and his latest flurry of motions without any legal merit continues to unnecessarily take up the Court's time. Don't his jailhouse lawyer associates, who are ghost writing these pleadings, know that the Court has the right to grant such a request ? Obviously not. As you may recall, Stanford opposes the extension of time granted to the Appellee, United States, to file its reply brief. The Government now has until February 3, 2015. After multiple motions directed to the same exact issue were denied, he has now styled his latest a Motion for Reconsideration. This ploy was denied in a terse order, probably because what we call successive motion practice, where the identical motion is filed again, using another title in the caption, is not permitted. So, now that Stanford has obviously alienated a number of people, both staff and the judges, over at the Fifth Circuit, with his conduct, we shall await the Court's ruling, which could come at any time after February 3rd. 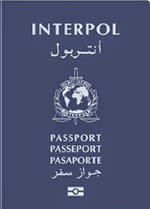 Should you ever receive a visit from a foreign law enforcement agent, asking for information, and claiming to be on official INTERPOL business, you can identify him through his INTERPOL E-Card, or passport. here is what they look like. You may still want to verify his credentials by contacting INTERPOL direct, but if time is of the essence, it might be good for you to familiarize yourself with these images. These identity documents allow law enforcement officers to bypass the general visa requirements that nationals from many countries face, with the attendant delays in processing. Debra Villegas, the Rothstein Rosenfeldt Adler (RRA) employee who rose to become the COO of Scott Rothstein's billion dollar Ponzi scheme, which sold bogus court settlements, received a Christmas present last week from her sentencing judge. The defendant, whose ten year sentence was second only to Rothstein's fifty years, obtained a 60% reduction, to only 48 months, which makes her immediately eligible for release. The US Attorney's Rule 35 motion HAD requested only a 50% sentence reduction, which is generally the maximum that prosecutors ask the Court for, when a defendant has provided sufficient Substantial Assistance, involving other defendants, or the recovery of assets, but the Court chose to follow defense counsel's suggestion, probably for an unusual reason. Here is why Villegas' counsel had just cause for asking for additional time: The defendant has some serious medical issues, including heart problems, and is the subject of a medical hold, meaning that, if she is not released, she cannot be present to testify against the TD Bank officer who is facing a trial, for his role in the Ponzi scheme, and against her ex-husband, for is going to trial shortly on charges that he killed an RRA partner who was her close friend. Also, her medical issues make her ineligible for halfway house, so her release from confinement was the only viable option. Additionally, Villegas' attorney detailed how his client was instrumental in assisting the US Attorney's Office in Fort Lauderdale develop, prosecute and obtain guilty pleas and convictions, from several RRA staff members involved in the Ponzi scheme. She reportedly cooperated early on, without either a plea agreement or grant of immunity, and also located Rothstein assets abroad. Counsel for the Arab Bank, in its efforts to postpone the upcoming trial on damages, has been rebuffed by the trial judge in the New York Federal case where a jury has already returned a verdict against the Bank on liability. One of the comments made by the Court, in the Order, appears to indicate that the trial judge is aware of the bank's dilatory tactics. In a letter to the Court, Arab Bank's attorney stated that the necessary depositions, and discovery which had to be obtained, would render a Spring 2015 trial impossible. He also advised that he was unhappy with the fact that the Bank, in the pretrial order, was required to produce its witness list before plaintiff was due to produce its documents, but the Court advised that it would handle any issues with the need for subsequently needed witnesses if the need arises. In what must be regarded as a mild rebuke to the defendant Bank, the Court noted that one of the bank's objections, regarding the release of medical records, was made without the Bank's statement that it had requested such information. One could interpret the language as being critical of the bank's defensive tactics, though the Court's language was mild and nonjudgmental. The bottom line: The Court did not buy into the bank's arguments, and did not reset the trial date to August, as the Bank requested. My thoughts about this: inasmuch as the trial testimony will feature the horrific injuries and fatalities suffered by the plaintiff, the Bank wanted to insure that it occurred when most Americans are on vacation, and might miss reading about it. The damages trial potentially could result in serious reputation damage to the Bank, which it probably wants to keep from not only the banking industry, but American regulatory agencies, which have the power to revoke the bank's charter to operate in the United States. The Department of the Treasury, in what appears to be a case of first impression, has brought a civil suit, in Federal Court in New York, against Thomas E. Haider, formerly the Chief Compliance officer at MoneyGram International, Inc. Could this case represent the shape of things to come in regulatory actions for AML/CFT violations ? (1) Failure to timely file SARs. (2) Failure to implement an internal company discipline policy. (3) Failure to terminate known high-risk agents and retail outlets. (4) Failure to conduct effective audits of agents and retail outlets. (5) Failure to conduct effective due diligence upon agents and retail outlets. The Government, in its request for relief, has demanded a judgment against Haider, for the one million dollars he was assessed by FinCEN, and for "an order enjoining Haider from participating, directly or indirectly, in the conduct of affairs of any financial institution that is located in the United States, or conducts business within the United States, for a term of years sufficient to prevent future harm to the public." Complaint at 4-5. The United States has demanded a jury trial. Readers who wish to review the complete text of the Complaint can access it here*. Inasmuch as civil monetary penalties have not been effective in suppressing repeated AML/CFT/BSA violations at America's largest banks and NBFIs, this new enforcement tactic, personally attacking compliance officers who allow money laundering and terrorist financing to thrive, may just get the attention of the banking community. We know it will make the compliance officers sit up and take notice. Now, if Treasury would only file criminal money laundering charges against those avaricious bank directors, who choose profits ahead of obeying the law, and routinely overrule their compliance officers, regarding suspicious clients, we just might see a change in bank policies in the United States. Will Treasury now take this next step ? Turkey's Ministry of Finance has publicly warned three of the country's banks about their failure to cooperate in money laundering and terrorist financing matters, and has asked them to share transaction data in terrorist financing cases. The charge was made recently by the country's Finance Minister, Mehmet Simsek. Apparently, these three Turkish banks are not cooperating with the Financial Crime Investigation Board, known as MASAK. Turkey, under major pressure from the Financial Action Task Force (FATF), passed a counter-terrorism financing law. The problem, with regard to the global banking community, is that the Minister has failed to publicly identify the three guilty banks, citing "privacy concerns." 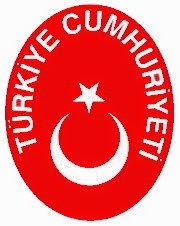 This failure to disclose the names of the offending banks raises the risk levels for Turkey, as international banks do not know which Turkish banks to regard as high-risk, and may end up assigning all Turkish financial institutions, and transactions with them, a higher level of risk, as a result of the Minister's desire to avoid embarrassing the banks. Are some of these three banks moving money for Hamas' operational detachment, and headquarters in Turkey ? This is a genuine concern, given the established fact that attempts to commit terrorist attacks, within the West Bank, and in Israel proper, were orchestrated from Hamas leaders living in Turkey. From the standpoint of Western bankers, Turkey's admission, that three of its own banks are involved in financial crime, and in providing financial support to terrorism, means that Turkish regulators are ineffective in suppressing money laundering and terrorist financing. The Financial Industry Regulatory Authority has fined Wells Fargo Advisors LLC $1.5m, for major rule violations, which have been acknowledged by the Respondent in an executed Acceptance and Consent. FINRA charges that Wells Fargo Advisors, and Wells Fargo Financial Network LLC, have suffered nine years of AML failures, which were belatedly reported to FINRA. The firm's proprietary CIP program, according to the Consent, had design flaws which rendered it virtually ineffective, and violated NASD Rules 301(B), 3310(b), and 2010. Readers who wish to examine the Letter of Acceptance, Waiver and Consent, may access the complete text here*. IS PANAMA'S UPCOMING BENEFICIAL OWNERSHIP LAW MEANINGLESS ? Panama's beneficial ownership disclosure law, which takes effect in approximately one year, requires all Panamanian financial institutions and NBFIs to obtain the identity of the beneficial owner of corporate bank clients. The issue is, will it actually bring transparency to a Panamanian corporate culture that intentionally obscures beneficial ownership ? (1) Giving banks a full year to comply allows money launderers, acting for criminal clients who are bank customers, more than sufficient time to form new companies in remote, unregulated tax havens, and transfer their assets out of Panama. (2) The one-year window also gives financial criminals time to brainstorm new strategies and tactics, to outwit the new law. for example, Panamanian foundations, which are sometimes preferred to corporations, have no shareholders, nor do foreign trusts. There will be other entities or vehicles for criminal elements to migrate to, and adequately cover their tracks, with multiple steps, in the time-frame curiously set by the outgoing Superintendent of Banking. (3) Corporations in Panama must be formed by licensed attorneys, many of whom deliberately conceal their clients' identities, by making their staff officers and directors, and thereafter giving a front person a Power of Attorney (Poder), which allows them to open bank accounts. I frankly do not trust them to be candid, or even honest, when requested to identify their clients for the banks. How will this information be verified or validated, especially with foreign nationals as beneficial owners ? The answer is it cannot be independently confirmed. (4) What if the beneficial owner is a foreign corporation ? Piling layers of secrecy upon the disclosures will render them ineffective. To conclude, I think that we can expect to see a lot of smoke and mirrors, but no real disclosure of beneficial owners' identities. The announcement, by the President of the United States, that America will now start to normalize its relations with the Republic of Cuba, has certainly drawn the attention of the American financial community, which has looked enviously at the potential of a new, untapped market. OFAC immediately released a FAQ in which it reminded us that, until new regulations are promulgated, and become law, sanctions are still in effect. There is another issue with Cuba that bankers should be aware of, before incurring any financial exposure: the country has been, and remains, a black hole for money laundering activity, especially bulk cash smuggling. Because of US sanctions, the Cuban financial structure exists* completely outside the American (New York) banking hub. Narcotics traffickers, Medicare fraudsters felling Florida, and a small number of Cuban-Americans engaged in illegal pursuits, holding profits that they wish to bank offshore, all move funds into Cuba, so that they can thereafter be sent to Switzerland, or the world's tax havens. Consider that when assessing the relevant risk factors involved in placing funds or assets inside Cuba. You money may take an international trip that you did not expect. Add this to the high levels of corruption that presently exist, the complete lack of rule of law, and tendency of the Cuban Government to arrest foreigners first, and ask questions later, and you have a volatile mix, which stacks the odds against you and your clients, should you or they, choose to incur financial exposure there. Therefore, tread carefully, please. Remember what happened to some of those American businessmen who flocked to post-Soviet Russia in the early 1990s. * Except for sanctions evasions, through third countries, such as Panama, but that's a story for another time. The General Court of the European Union has annulled the 2001 terrorist sanction upon Hamas, upon procedural and not substantive grounds, but has kept the sanction in place, to allow the EU to file an appeal. The grounds stated were that the evidence of terrorist status consisted of only media and internet information, which the Court deemed were not competent authorities, but "factual imputations desired from the press and the Internet," according to the official press release analyzing the decision. The Court stressed that its actions were purely based on what it called "fundamental procedural grounds." and did not "imply any substantive assessment of the question of classification of Hamas as a terrorist group...."
Some sources have stated that the EU countries, which were required to reintroduce evidence every six months on Hamas' terrorist actions, had resorted to filing open-source media documents, rather than disclose classified information. If this was truly the case, it was a colossal error, for now the EU will be required to participate in a formal appeal, which could take years, if prior cases are any indication of the time-frame involved. The United States Senate adjourned for the year yesterday; it did not move the Hezbollah International Financing Prevention Act of 2014 out of committee, and therefore did not pass this important bill. The House overwhelmingly passed its version of the bill several months ago. Given the current situation in Latin America, where Hezbollah, a Specially Designated Global Terrorist organization, is rapidly expanding its operations there, with no visible push-back from the US, the Senate's failure to strengthen the law should be regarded as a major failure to deploy an additional tool to suppress Hezbollah in America's backyard. Should Hezbollah strike inside the United States, there will be much hand-wringing in Washington, and you can bet that the bill will be refiled, and passed forthwith, but that will be after the fact. One sincerely hopes that the failure to pass this bill was intentional, and was not due to the behind-the-scenes efforts of senior US politicians not wanting to further agitate Hezbollah, for this group does not have American interests at heart. You have to give the attorneys for Arab Bank, in the New York Federal terrorism case, credit for zealously representing their client, even though their conduct at times is believed by many observers to come dangerously close to Rule 11 violations, which could result in sanctions against the Bank. Arab Bank's counsel delayed the trial for more than ten years, but now that an adverse verdict on liability has occurred, the Bank is in a real hurry to get the case to the Second Circuit Court of Appeals. For those who want to see whether there is a factual basis for that statement, read on. First, as we have previously reported*, The Bank filed a Motion for Certification for Interlocutory Appeal, asserting that the Court's previous rulings were contrary to existing law. Such an appeal requires Court approval, and it has not, at this writing been granted. To the contrary, the Court has set the case for trial, on the issue of damages, for 2015. Therefore, we must assume that the odds of the motion being granted are poor. Second, Bank counsel sent a letter to the Court, proposing that it adopt the amount of a judgment in a previous unrelated case, in favor of one specific claimant, which is a much lesser amount than is expected in this case, but which could be the bellwether for other cases. Also, should the Court grant counsel's request, there would be a final judgment of record entered, which would give the Bank the right to immediately appeal that ruling to the Second Circuit. Would such an appeal operate to stay the upcoming damages trial for all the other defendants ? It might. The last thing the Bank wants is a very public display of the human cost of Hamas' terrorism. As we have previously stated, the Bank counsel's defense tactics in this action trouble me, for at times it appears to be hovering on the line between advocacy and sharp practice. I understand that the ramifications of what could ultimately be a billion dollar judgment against the bank warrant the best defense, from the best lawyers available, and that all banks who move money for terrorist organizations will be in the cross-hairs of the courts, if the case is affirmed on appeal, but it still bothers me that the Bank engages in what some, including me, regard as borderline trial tactics, and positions that strain credibility. *Is Arab Bank using Post-verdict Dilatory Tactics in Landmark Terrorist Financing case ? The Revolutionary Armed Forces of Colombia, the FARC, which is currently engaged in lengthy peace talks with the Government of Colombia, has now demanded a General Amnesty for all its members, as a necessary element of any comprehensive peace treaty. While such a provision may facilitate the ultimate integration of individuals into Colombia's economy and social structure, it represents a clear and present danger to the global banking industry. Why ? Because of the massive proceeds of crime, including narco-profits, illegally earned by the FARC, much of which has been laundered, and placed outside Colombia, in foreign banks, and in investments. The FARC, a Specially Designated Global Terrorist (SDGT) organization, has supported itself through crime, principally drug trafficking and kidnapping, for decades. Its agents have laundered, and secreted, criminal profits abroad, using banks in Panama, and other offshore financial centers, to move criminal proceeds not needed for ongoing operations. While the FARC leadership may surrender a portion of those funds, in connection with a peace agreement, you can be certain that a large part of those criminal profits will never be disclosed, given the FARC's long and sordid history of deception. One must therefore assume that a lot of that money will remain hidden, or withdrawn by FARC money managers, to prevent its discovery by the authorities. A General Amnesty means that banks that are unwittingly holding FARC funds could be approached later, by former FARC agents, now with no criminal records, to withdraw funds. They may even be members of a future "Unity" government, giving them even more legitimacy. The compliance officers will have no way of knowing that the individuals sitting in front of them are ex-FARC, and could be guilty of homicide, kidnapping, and human rights violations, not the sort of people you want as clients. Will the subsequent disclosure of the criminal origin of the withdrawn funds expose the bank to OFAC sanctions violations ? This could present a potential problem in the future. Will banks be forced to require Source of Funds verification on all large withdrawals by Colombian nationals for the indefinite future ? It may be the only way for the banks to protect themselves. HAVE PONZI SCHEMER'S HOPES FOR SENTENCE REDUCTION FADED AWAY ? Imprisoned Ponzi schemer Scott Rothstein, who is serving a fifty-year stint in Federal custody, had hoped for a Rule 35(b) sentence reduction, on account of his Substantial Assistance to US law enforcement, but his hopes that his sentence will be cut appear to be failing of late; here's why. "6. Upon completion of the defendant's cooperation, the Government will file a motion for a hearing, at which time, the Government will advise the Court of the nature, extent, and value of the defendant's cooperation. It is requested, however that the Court stay any ruling on the instant motion until the Government files the motion for such a hearing. " "7. The United States expressly reserves the right to withdraw this motion if, in the judgment of the United States, the defendant should fail to comply with the terms of his plea agreement, fail to testify truthfully, or falsely implicate any person or entity." Motion for Reduction of Sentence and for Stay of Ruling at 2. "I understand that there's been an issue concerning my failure to disclose what I did with my wife and the jewelry. My hope is that at the end of the day, that the Government, they will see that I did a lot more good than bad." Testimony at Christina Kitterman trial. Rothstein's wife went to prison, for secreting, covertly selling, and hiding the truth about, their jewels, but the consequences for her husband will be much more severe. The five-year statute of limitations has now run out, and there probably will not be any more criminal prosecutions, unless the US Attorney seeks RICOA charges, which are unlikely, meaning that Rothstein's testimony or assistance will no long be needed. It looks like a sentence reduction is not in the cards for the master Ponzi schemer, whose presumptive release date is, by my calculation, in June, 2053, at which time, if he is still alive, he will be 91 years old. I hope that information is a comfort to the investors who were victims of his Ponzi scheme. (1) Five years in Federal Prison. (2) A subsequent two years of Supervised Release. (3) Restitution in the amount of $70,000. (4) An Order of Forfeiture/final judgment in the amount of $1,732,756.00 . (5) A Special Assessment in the amount of $900.00. The notice, which recites that the defendant is taking his appeal Pro Se, was filed on December 9, 2014. Chichakli's co-defendant, Viktor Bout, cannot be tried on the charges at this time, as he was extradited on other charges, in another case. 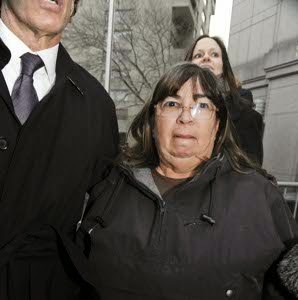 Annette Bongiorno, the former secretary to mega-Ponzi schemer Bernard Madoff, was sentenced this week, to serve six years in Federal Prison, for her actions in support of the $65bn fraud. She reportedly backdated stock trades, lied to auditors and regulators, and facilitated the Ponzi scheme in a number of ways; Bongiorno was Madoff's secretary for 40 years. The lesson to be learned here is that, when a Ponzi scheme implodes, everyone involved, even on the fringes, pay the price for their roles in the fraud. Secretaries and clerical help in other white-collar cases often blame their bosses for ordering them to participate, and they receive immunity, in exchange for their testimony. In a busted Ponzi scheme, everyone goes down. The takeaway is that, should you even remotely suspect that a client, counter-party, customer, partner, or affiliate might possibly be engaged in this type of conduct, you are advised to consult your attorney forthwith, lest you be dragged down later on, and become collateral damage in a take-no-prisoners situation. The unfolding scandal involving the unauthorized purchase of millions of dollars of telephone and Internet eavesdropping equipment, on the orders of Panama's then-President, Ricardo Martinelli, has exposed the circuitous route taken by the purchase money. We have previously* detailed the facts surrounding the acquisition of surveillance equipment, conducted without the mandatory approval of Panama's legislative body, the Asamblea Nacional (National Assembly), to allow the Martinelli government to spy upon its political opponents, which is a violation of the laws of Panama. The end user of the surveillance gear was supposed to be the Consejo de Seguridad (Security Council), but it has ended up in the hands of Martinelli's associates, who are conducting an ongoing eavesdropping operation from an undisclosed location outside the Republic of Panama. Suffice it to say that there must be a number of anxious bankers in Panama City these days, who have now realized that sensitive conversations with foreign clients, in Geneva, Beirut, Hong Kong, and elsewhere, have probably been recorded and retained. 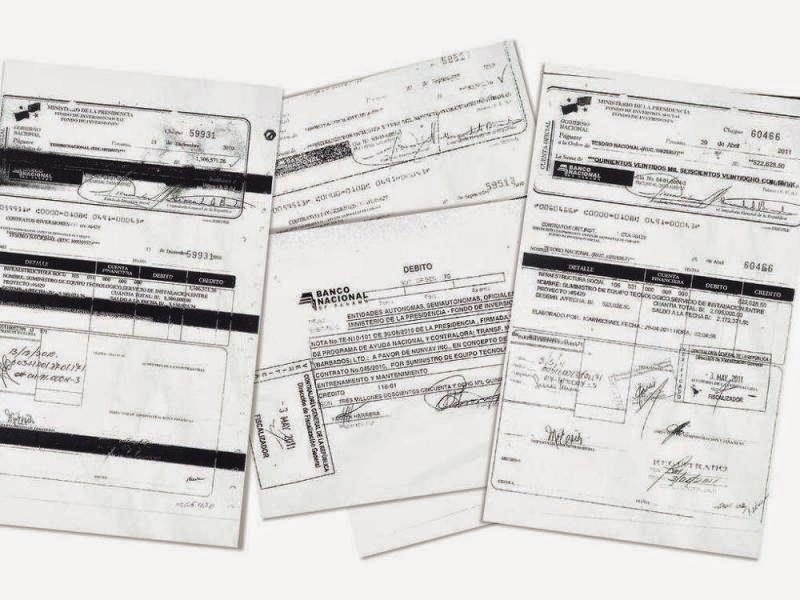 For the benefit of those who are interested in the money laundering tradecraft of the transaction, the funds were, as seen in the checks shown above, disbursed from government accounts at the Banco Nacional, which is a private financial institution, notwithstanding its name. the other banks involved in the transactions are reportedly Citibank, and the Bogotá office of Occidental Bank of Barbados. As additional details emerge, regarding the role of these financial institutions, and the individuals involved in the Government of Panama, we shall publish further articles on this blog. A couple of years ago, we reported on the failed efforts, by then-President Ricardo Martinelli of Panama, to convince the American Ambassador in Panama City to give him access to an American-operated computer program that gives users complete access to all telephone calls made in the Republic. Martinelli specifically wanted to eavesdrop upon the telephone conversations of Panamanians who were opposed to his policies. It is our understanding that, after rejecting Martinelli's request out of hand, the ambassador arranged to be transferred to an embassy in Europe, so as to distance herself further from Martinelli's demands. The president's staff thereafter reportedly made major purchases of not only surveillance equipment, but an advanced telephone surveillance program similar to that then used by the US. The illegal operation of this equipment, within Panama, was later verified by two proven sources. After last summer's election, you may also recall the story which disclosed that a major governmental purchase of sophisticated surveillance equipment was missing, and unaccounted for. 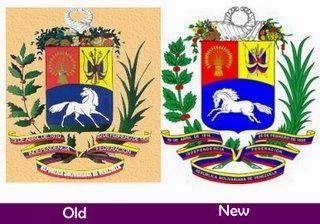 it appears that the equipment mysteriously disappeared right after the defeat Martinelli's presidential candidate. Our sources further stated that the purported purchase price was $60m, though the equipment only cost $13m, raising the presumption that most of the money was either diverted, or was the subject of bribes and kickbacks. Just how much of this money Martinelli and his ministers are believed to have diverted to their own personal use is not known. Lately, there have been indications that the Martinelli's personal spy program, which was moved out of the country after the election, to a location not known to the sources, is still operational, and continues to illegally monitor telephone traffic in Panama. Foreign nationals of interest to Martinelli, including some of the telephones located in the US Embassy, are also being illegally monitored, by Martinelli's telephone taps. Should not the IT professionals in the new Varela government be trying to shut down this intrusive, and totally illegal, remotely-operated private spy system at this time ? At the very least, kindly terminate its ability to monitor all telephone conversations of everybody in Panama. When we talk about Country Risk, the lack of free and fair elections, election fraud, and violence associated with elections, all tend to increase risk levels. When homicides, directly linked to election fraud, occur, Country Risk should be reassessed. Individuals who come into office through fraud rarely observe the rule of law in their legislative activities, which can adversely affect foreign financial institutions, as well as foreign investment, in my experience. 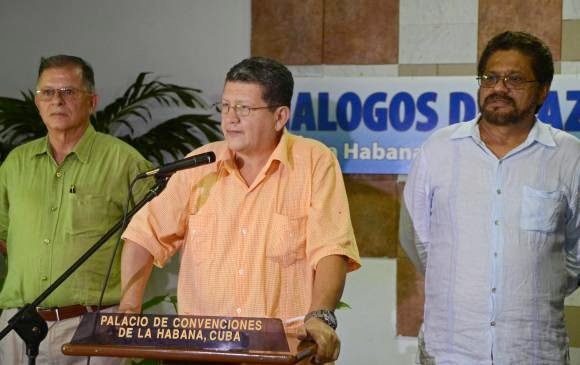 Two members of the legislature that are from the CD (Cambio Democratico) Party, which has long been allied with former President Ricardo Martinelli, have been denied office for election fraud, by the Electoral Tribunal of Panama. Unfortunately, there were severe consequences to the Tribunal's lawful act. Maria Alejandra Fernández de Leon, a delegate to the Electoral Tribunal, and the daughter of Fausto Fernández, the president of the Electoral Tribunal, was recently found murdered in Panama, the victim of a knife attack in a residence. It is believed that this homicide, which is under investigation, was committed as retribution for the exposure of the two CD members as electoral fraudsters. Take this into account when computing Country Risk for Panama in 2015, where crime is often not what it appears to be. If you have ben waiting for the release of the complete text of the US Senate report on CIA "enhanced interrogation techniques, " believed by many to constitute torture, you can read the 528-page unclassified version it here*. 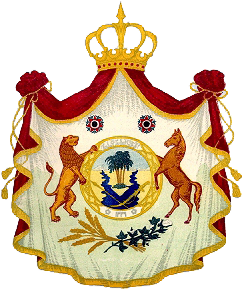 The Union of Arab Banks (UAB), in an Amicus Curae brief, filed in support of Arab Bank's motions to overturn the liability verdict, has raised a well-founded fear that, due to their strict bank secrecy laws, other Middle Eastern banks will also soon find themselves facing potentially huge jury verdicts for damages, with little chances of success on appeal. The UAB has a critical interest in this litigation, because its members are vulnerable to the same impossible legal dilemma that Arab bank experienced, when it was sanctioned, because foreign customer privacy laws foreclosed its compliance with plaintiffs' discovery requests. As this is the first civil case where claims have gone to trial against a bank under the Anti-Terrorism Act (ATA) [citation omitted], the UAB is highly concerned that this case provides a playbook for private plaintiffs to manufacture discovery sanctions against foreign banks, and exploit tax causal standards to secure potentially catastrophic jury verdicts, based on speculation and innuendo. Equally alarming is the possibility that Arab Bank may have no recourse to challenge the judgment on appeal, as a result of the potential collateral consequences of any damages award." If this court were to confirm the finding of liability, there would be a serious risk that, in the absence of immediate appellate review, Arab Bank could suffer dire injury far beyond any specific damages award. By labeling the defendant a supporter of terrorism, subject to potentially enormous liability, the Court's order would cause corresponding banks, and depositors alike, to consider ceasing their business with the bank. Memorandum of Union of Arab Banks, as Amicus Curae, in support of Arab Bank, PLC, at 1-2*. What the UAB is stating is, their members' strict bank secrecy laws, which the banks will choose not to violate, in court proceedings, will result in possibly fatal damage awards, in connection with cases brought under the Anti-Terrorism Act. If a bank providing financial assistance to terrorist organizations with international sanctions is sued under the Anti-Terrorist Act, in the US, it will lose, and may be forced out of business, due to its new, pariah, status, in the financial community. The UABs stated fear is well placed, but it ignores the possibility that member banks may indeed be guilty of providing material support to terrorist organizations.. Since bank secrecy in the Middle East will not be going away anytime soon, we should expect to see a serious increase in American private civil suits, targeting banks in the Middle East, for ATA violations, as dirty money is a major profit center for a number of banks in the region, and that includes funds being moved for Hamas, Hezbollah, IRGC, and the various branches of Al-Qaeda. The landmark Arab Bank case could provide an effective weapon against banks who work with designated terrorist organizations. Perhaps the trial bar, acting for clients injured through terrorism, can do what regulators and the Department of Justice are unable to accomplish: shut down the banks that facilitate terrorism by bankrupting them through large judgments. HAS ST KITTS CITIZENSHIP-THROUGH-INVESTMENT SCANDAL TAINTED ALL ECONOMIC PASSPORT PROGRAMS ? By the huge number of hits I have seen on my blog, following the article on the revocation of visa-free travel privileges, by Canada, for St. Kitts passports holders, it appears that there is bona fide compliance concern about the level of increased risk posed by prospective bank clients, who arrive with passports obtained through investment programs of Caribbean countries. They could be originally from high-risk jurisdictions, from countries that are state sponsors of terrorism, or even OFAC-sanctioned nations. (A) Felony convictions in their country or origin, or elsewhere. In their new nationality, a search of local government databases will not turn up a criminal record, should your bank inquire, and there is no comprehensive international database of criminal convictions, available to persons who are nor sworn law enforcement officers. (B) The ability to take on a totally new name. Former names were curiously (intentionally?) omitted from the St. Kitts e-passports, and that is probably one of the major reasons Canada acted. (C) Place of Birth can be omitted or changed. This is the second reason that I believe that Canada properly revoked visa-free status for St. Kitts. A foreign place of birth on a passport is a red flag, and raises concerns about whether the holder was originally a national of another jurisdiction. (D) Corruption, on the part of the individuals, or agency, processing the applications, could result in a completely new identity, untraceable and with no arrest record, or other baggage, to inform immigration officers, or bankers. This is an even more possible issue, when the application work is outsourced, where it will have little or no governmental oversight. Should you be concerned, when a Caucasian arrives at your bank, from a country which is 100% of African descent ? Absolutely; it is time for enhanced due diligence, and no funds should be accepted, or transferred, in any manner, until you rule out the client as an unacceptable risk. Given that Russians, Iranians, and individuals from sundry other high-risk Middle Eastern countries are now known to have purchased economic citizenship in the Caribbean, you should alert your compliance staff to the increased dangers. The American Gaming Association, the gambling industry's trade organization, has published a "Best practices for Anti-Money Laundering Compliance " guide for its members. In addition to covering much of what we have come to regard as banking best practices, the risk-based program also details the unique threats posed by money launderers operating in the American gaming industry. (8) Suspicious Activity Report Review. PEPs, Country Risk and profiling are discussed in the 17-page document, which is written in plain English, and not legalese. Readers who wish to review the complete text of the guide can find it here*. This week's disclosure from Iraq, to the effect that 29 of the 33 private banks located there are under criminal investigation for money laundering and corruption, is your cue to exit all financial transactions with any bank or NBFI located there. It is also time to tell your bank clients that you will no longer wire funds, or accept incoming wires from Iraq. Things there are simply out of control, with no AML/CFT compliance, and no law enforcement. (1) A report from the US Special Inspector for Iraq Reconstruction says $100bn has left Iraq since 2003, and is now in Iran, Beirut, and the United Arab Emirates. (2) 50,000 Iraqi Army soldiers, all drawing monthly pay, have been shown to be non-existent, meaning that their commanders have been enriching themselves at Iraq's expense. (3) The former Shiite-led government of Maliki terminated many competent military officers, and installed Shiite officers in their place, irrespective of their qualifications for leadership. As a result, the army cannot defeat ISIS on the field of battle. (4) Iraq is fast becoming a close ally of Iran; the Iranian fighter jet attack, on ISIS in Iraqi territory, proved it. It is time to withdraw, lest you sustain huge losses later, and to advise your bank clients that you will no longer deal with Iraqi banks, NBFIs, or businesses, in any way, for Country Risk is now at unacceptable levels.